Shakeel Must Live For His Children. With Your Support He Can! 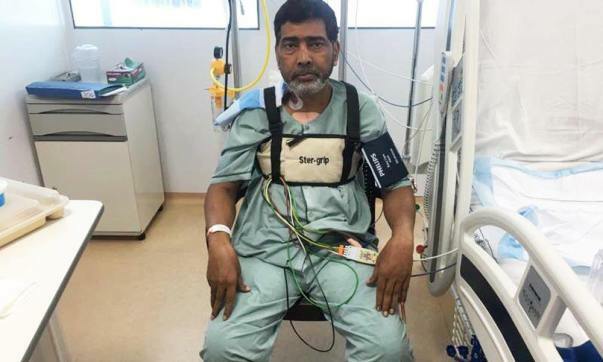 It all started with a heart-attack way back in 2010, after which Shakeel was on medication till 2015. 54 year old Shakeel had been leading a decent and happy life with his family, supporting the household and educating his children, with his small income as a tailor in an embroidery factory. He has 5 children. His eldest son is a taxi driver, who is currently the only bread winner of the family, after Shakeel had to quit his job 3 years back in 2015. 2015 was the year that brought a series of events that changed Shakeel's life forever. 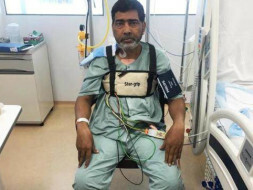 He started vomiting blood and was immediately admitted at Tata Hospital, Mumbai. Here, he was diagnosed with cancer. His health and need for regular tests and treatment forced him to discontinue his job. He underwent 3 chemo-cycles and was showing some progress. It was at this point that a surgery was recommended. He was asked to undergo a few tests and get a certificate declaring him fit for the surgery. During this test, his heart condition came to light. He was declared unfit for the surgery since his heart would give way. 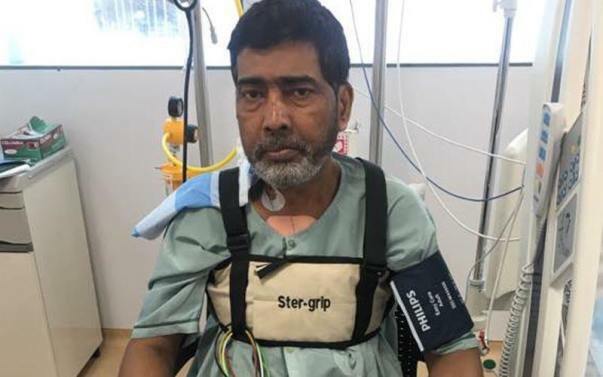 He therefore needs to undergo a heart surgery to be able to get treated for the Cancer. The total cost of the surgery is estimated at 7 lakh. With the help of CM relief funds and some support from Tata Charitable trust they have received 3,10,000. They still need another 3,90,000 to be able to save Shakeel. Shakeel's eldest son is trying his best. The young man has given up on everything in life to support his siblings and continue his father's treatment, but this amount is way beyond what he can arrange. 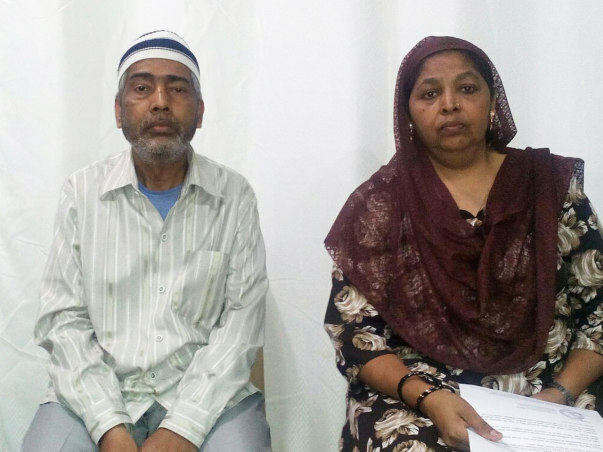 Over the past 7 years, the family has already spent almost 7 lakh on Shakeel's treatment. They still refuse to give up. One of his sons has discontinued his education in order to keep his father's treatment going. Shakeel's wife Fareeda had slipped into severe depression, but is now slowly gaining hope as her children stand together with a promise to save their father. Shakeel has been operated & he is now at home. This amount will be used to clear the hospital bills. Shakeel successfully underwent the surgery with out any complications. He is doing well right now. He needs your help for the surgery and medication expenses. He has only one son who is the sole earning member of the family. Please do help Shakeel and his family.